The Shopping Channel has a Holiday Decor Sale on now! 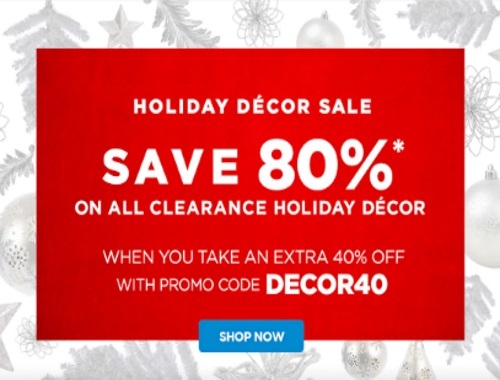 Save 80% off on all clearance holiday decor when you take an extra 40% off with the promo code below! Enter the promo code DECOR40 at checkout. Offer is valid January 3-11, 2017.